No, wait. That’s a different story. I’ll come in again. 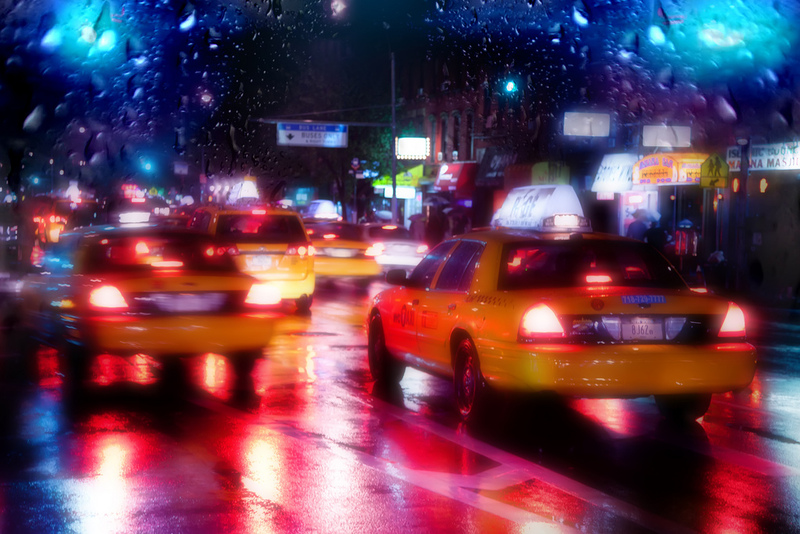 Quite a long time ago I drove a cab in New York City for a few months. My favorite adventure among the many took place on a rainy Friday night in December about 2:30 AM. The dispatcher sent me to pick up a fare on a quiet residential street in a neighborhood in transition from one generation’s immigrants to the next. As I pulled up, an elderly man emerged from the front door flanked by his wife and his adult son. They were helping him to stand. This did not bode well. When they got in the cab, I asked where we were going. Woman: To Union Hospital, please. Man (grasping his chest): Oh, oh, my heart, my heart. Me: You sure about that? It’s going to take me fifteen minutes to get there. We could get to Jacobi in half that time. Woman: His doctor’s at Union. We go to Union. Me, selfishly resolving that no way was this guy gonna die in my cab: Okay, fine. Hang on. I jumped on the highway, drove much too fast, jumped off the highway, and ran probably a dozen red lights on my way to the hospital. I did slow down and make sure it was safe, but if the cops wanted to stop me, they could arrest me at the hospital. Man, at least once a minute: Oh, oh, my heart, my heart. We pulled in at the Emergency Room at Union Hospital in ten minutes. Man, as the Woman and the Son were dragging him from the back seat: Give him a good tip! A friend of mine was recently telling me about a medical condition she had, which was not cancerous or life-threatening, but which her doctor still wanted to operate on. She had decided that she would let it be as long as it remained elective. I am sure that many would have told her that she should go ahead with the surgery just in case, that her health had to come first. But I couldn't have agreed with her more. I have had two surgeries in the last fifteen years. One of these was absolutely necessary if I wanted to avoid either bleeding to death or dying of gangrene. That one I have no regrets about, except in so far as it was my own carelessness that made it needful. The second is more complicated. I was injured at work because of the negligence of others. I suffered nerve damage, which caused persistent numbness in my left shoulder and parts of my left arm, sometimes all the way down to my hand. It also resulted in frequent low level pain in my neck. Movement and strength were not affected, however. After ten months of tests and various attempts to fix the problem without surgery, it became clear that only surgery would keep the nerve damage from continuing to get worse. So I chose to have the surgery. It's now been seven months since the surgery. My shoulder is just as numb as it was before and I have much more frequent pain and cramping in my neck and shoulder. But it doesn't end there. Oh, far from it. I can't discuss the rest, however. And believe me I would love to rant about some of the things I have experienced as the result of choosing to put my health first. What I will say is that having this surgery, which wasn't necessary to keep me alive, was an enormous mistake. It has had consequences for my life and career that have left me angry and depressed much of the time, though I am taking steps to address these difficulties. There are moments I feel like it has ruined my life. But that is self-pity. Nothing that my injury could have done to me would have made me feel this way. Nothing. Claiming that the health of the body is the most important thing is a very limited point of view, a very unimaginative point of view. Provenance: Several scraps of tattered and burnt vellum, discovered on the northwestern slopes of Amon Amarth ('Mount Doom') among the bones of a fell beast in the fourteenth year of Eldarion Telcontar, son of Elessar. Long held to be bits of the creature's skin, they were subsequently identified as orc-hide, probably from one of the smaller, older breeds commonly referred to in some texts as 'goblins'. King's Writer, Finduilas, daughter of Findegil, devoted many years of study to the translation and ordering of the faded texts. The commentary below is also hers. No sooner had I touched the door of Baggins' home than it swung open. A female, so old and mean looking I almost offered her a job, stared up at me with the most delightful venom in her eye. 'Are you deaf? Go on with you! Get away from my door! There's no admittance. Now Good morning to you!' she shrieked. I must confess, it had been so long since I felt my heart beat that I almost didn't recognize it when it did. *old ... cabbages and potatoes -- This is surely Hamfast 'the Gaffer' Gamgee, father of Master Samwise, and grandfather of Elanor, Handmaid to Queen Arwen. 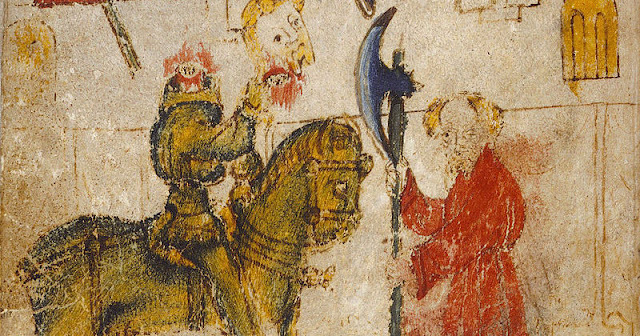 The Red Book twice notes his conversation with a Black Rider the night Frodo Baggins, Peregrin Took, and Samwise Gamgee departed for Buckland. It also records his fondness for cabbages as well as potatoes ('the Gaffer's delight'). **Open ... Mordor -- The presence of this phrase here strongly suggests that it was Khamûl -- the only Ringwraith whose name is known, except Gothmog, the lieutenant of Morgul (see below) -- who broke open the door at Crickhollow. ***Bag End is mine -- These words and the reference to her umbrella below together indicate that Khamûl has come face to face with Lobelia Sackville-Baggins (née Bracegirdle), who purchased Bag End from Frodo Baggins in T.A. 3018 and later became a formidable leader in the resistance against Saruman. If Lobelia's words to Khamûl sound familiar, it has been suggested in some quarters that the portrayal of Gollum's obsession with the Ring is modeled on Lobelia's with Bag End. ****sniffling -- thus calling into question the Red Book's interpretation of Khamûl's smelling and its significance. uh oh, smells like elves! After much debate between Finduilas and the sisters of King Eldarion, Finduilas persuaded them that Khamûl here refers to the arrival of Gildor Inglorion and his troop. Let the little people blow! Confirms the accuracy of the otherwise inexplicable inclusion of the words of a Black Rider to himself or his fellow wraiths. Previously it had been thought that one of the guards at the gate of Buckland heard this before he was ridden down. Which I told him prophecies are tricky things, but did he listen? No, mate, he did not. He just went on about the Houses of Lamentation again, like always. Been there. Done That. Got the gold ring. Serves him right for appointing Gothmog his second in command. Gothmog! Almost fell off his horse when we chased that elvish nag to the ford, he did, and then had his fell beast shot out from under him! This clearly establishes once and for all that Gothmog was a man and a Ringwraith, never an orc, though some inferior bards have sought to depict him as such. Here's a small piece of a much larger project I've been working on over the last few months. I have no idea when the whole will see the light of day, so I may post small excerpts here from time to time in case folks are interested and since I miss posting regularly. Yet Frodo does not witness Boromir’s moment of recognition and repentance. 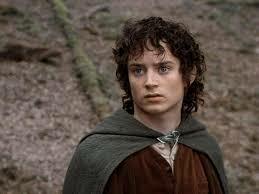 Shaken by ‘terror and grief’ Frodo has put on the Ring and fled (FR 2.x.400). It may not be the horror and pity that moved Bilbo, but it is closer to those feelings than he has come before. Seeing the effects of the Ring on a comrade and a friend (TT 4.v.664) – and as we know Frodo has long feared for those he calls his friends on this ‘adventure’ of his – he now grieves for one whom he believes 'has fallen into evil’ (FR 2.x.401). His terror is natural, just as it had been in the Barrow, but the grief he feels here is as important as the courage he found there, and is as important for Frodo as the pity Bilbo felt for Gollum was for Bilbo. For the pity and the grief transcend the horror and the terror. Frodo grieves for someone whom he has run away from in fear of his life. Here is a Frodo very different from the one who sat in Bag End the previous spring judging Gollum worthy of death, reproving Gandalf because he and the elves of Mirkwood had let him live, and yielding the point with only a poor grace. Now, in terror of a present and immediate threat, he shows how he has grown beyond the hobbit who pronounced summary judgements on a potential threat he had never seen.